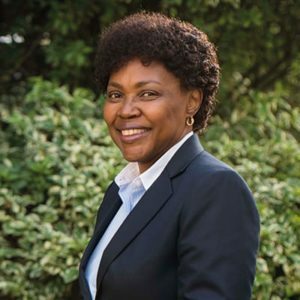 Dr. Mbithe Anzaya brings to the Board a depth of experience in Learning and Development combined with a passion for developing individual and team potential. 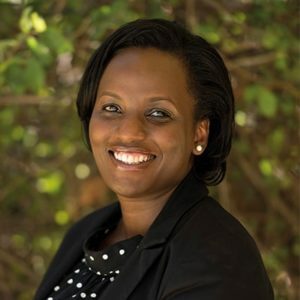 She currently serves as head of learning and development at Kenya Airways, one of Africa’s leading airlines, which includes managing Kenya Airways’ Pride Training Centre, a premier regional aviation training hub serving airlines across the African continent. Mbithe has consulted and developed training curricula for clients such as The World Bank Group, Goldman Sachs Investment Bank, Johnson & Johnson MDI, Africa Medical Research Foundation (AMREF), among other organisations. 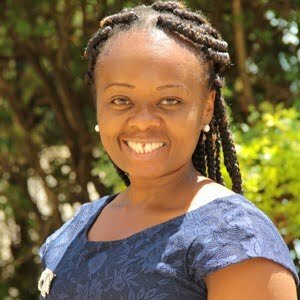 She served as an Assistant Professor of Management at the United States International University (USIU-Africa) where she also published numerous papers on business in Africa. Currently, she serves as a member of the Harvard Business Review Advisory Council, an opt-in research community of business professionals and is a Certified Executive Coach by the Academy of Executive Coaching, AoEC (UK). An academic and teacher at heart, Mbithe spends her free time building relationships with family and friends, as well as teaching and co-authoring books on parenting and living meaningfully. 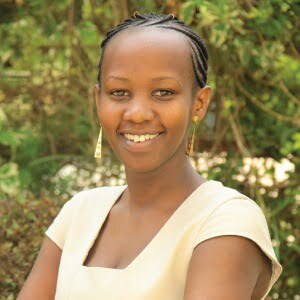 Mumbi Gichuhi is a seasoned publisher with over 15 years’ experience. Her mission is to use the written word to influence and to advance positive social impact. She has overseen publications that have been used in several countries in Africa, and further afield, Europe and the United States. She is also the managing editor for Prose Magazine, a publication that strives to elevate discourse on issues around the pan-African agenda. Mumbi has a firm grasp on the intricacies of the editorial, translation, publishing and printing processes. She works in close liaison with authors, editors and translators, to ensure that technical terms, references and language are accurate, coherent, and congruent for the audiences for which they are intended. She has led editorial teams in publishing in diverse sectors, including, but not limited, to human rights, tourism, energy and economics. Apart from this, she been a guest speaker and panelist on various forums, especially those pertinent to women in leadership as this is an area that is very close to her heart. Her interests are reading, dancing, music, travel and the arts. 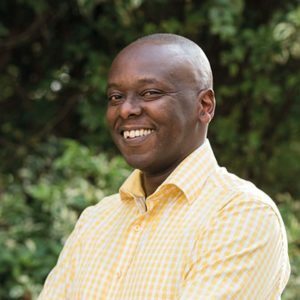 Philip Gichuhi is the Managing Director of Webhost Kenya Limited. He has steered and overseen the growth of Webhost Kenya over the last 14 years. He is passionate about enabling businesses to embrace information systems that will help them grow in the digital space. He keenly follows the evolution of online technology from digital marketing to expert systems so as to be able to incorporate them in solutions for businesses. He brings to the board a wealth of experience in information technology. In his free time, Philip enjoys reading, photography and the outdoors. Kezy Mukiri is an impact entrepreneur and lawyer who is passionate about building strong brands and sustainable enterprises. She is the Founder of Zuri Events – a brand management firm based in Nairobi, Kenya which focuses on providing customised brand management solutions specifically in the area of corporate event management. Her company is a market leader in Sustainable Event Management (SEM) and develops SEM concepts and policies for corporate organisations and institutions that are seeking to incorporate sustainability in their corporate Meetings, Incentives, Conferences and Exhibitions (MICE). In 2017, Kezy founded Ignite Trade Africa whose mission is to promote inclusive trade for sustainable development. Ignite trade Africa works to promote SME-driven Intra-Africa Trade by providing market exposure and building linkages for African SMEs. In 2015 Kezy was selected amongst 500 young African Leaders to join the Mandela Washington Fellowship. In the same year, she was selected amongst only 69 women entrepreneurs across the globe for the Vital Voices Global Partnership fellowship. In 2016, Kezy was selected to participate in the Goldman Sachs 10,000 Women programme. She is passionate about driving women-owned SMEs to access opportunities in global markets. She currently sits on the board of the Organisation of Women in International Trade (OWIT) Nairobi Chapter. Kezy was received the Women of Excellence Award at the Women Economic Forum held in Delhi, India in 2018. The Award recognizes women from across the globe who “are pioneers and leaders in their respective entrepreneurial and professional endeavors with a distinctive voice and vision that are inspiring and innovating a new narrative of leadership in all walks of life”. Peter is passionate about seeing businesses in Africa solve the most pressing challenges the continent faces through activation of faith in the market place. He is the founding Director of Zaka International and Africa Council for Accreditation and Accountability (AfCAA). He is the immediate former National Director for Transformational Business Network (TBN), an impact investment network. At TBN, Peter worked with growth-stage businesses, building their capacity and preparing them to access impact investment from the network. This way, businesses are facilitated to scale their impact across Africa. Peter is an experienced executive who has previously served as CEO of Remu Microfinance Bank, CEO of VisionFund Kenya and held senior management positions at Barclays Africa and Sidian Bank. 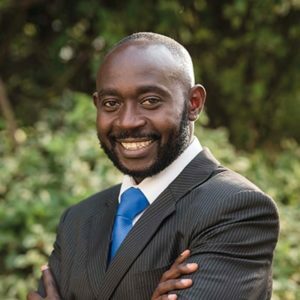 He holds a Bachelors of Arts degree in Economics (University of Nairobi), an MBA (Finance) University of Nairobi, a Global Executive MBA from IESE Business School, Barcelona and completed executive education at Harvard Business School, MA and Frankfurt School of Finance and Management, Germany. Peter was a Top 40 under 40 men, awarded by Kenyan business daily in 2013. Outside of work he serves on the boards of various non-profits and is actively involved in his local church. Mary Wagura is the company’s Operations Manager. She is in charge of the company’s administration and operations. She drives initiatives geared towards operational excellence and implementation of best practices. Specifically, she manages and increases effectiveness and efficiency of Human Resource, Administration and Finance through process improvement of each function as well as coordination and communication between all business functions. Mary is an excellent team player with well-developed communication skills, both written and verbal. She enjoys working in a diverse environment. She also possesses excellent customer relations skills, more so, in her engagements with both the company’s customers and suppliers. This enables the company to develop tailor-made publishing packages for its customers and to maintain a solid relationship with its suppliers thus guaranteeing quality work and quick turn-around times for our clients. Besides her professional concerns, she is also passionate in giving back to the community by offering assistance to children from disadvantaged backgrounds.